There’s a new trend alert in the dieting world, going under the name of kombucha. 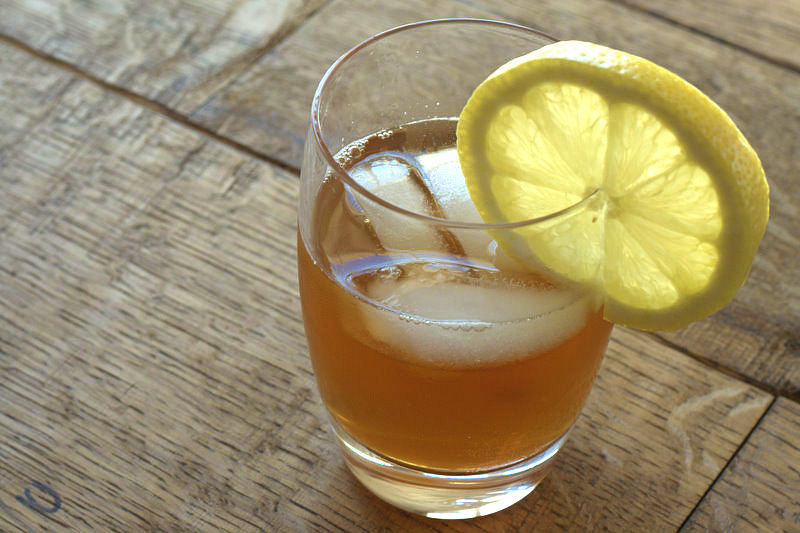 Dubbed the immortal health elixir, kombucha is a drink that has a slew of health benefits. What is kombucha? It’s a beverage produced by fermenting green or black tea through bacteria or yeast. It is unknown where kombucha originates, but we know that the beverage has been locally brewed until the 1990s when it started being commercialized in North America. Its Russian, Chinese and Korean names translate through tea mushroom or tea fungus. Kombucha health benefits seem to cover a wide array of conditions. However, there is not enough evidence to back up all the claims. Kombucha is no stranger to adverse effects, which is easy to understand since this homemade beverage can be contaminated during preparation. The top four properties of kombucha that make it highly beneficial are the anti-oxidation, energizing, detoxification and immunity boosting properties. These are supported by a study published in 2014 held by University of Latvia researchers. One of the reasons why kombucha is so popular is owed to its detoxifying properties. These help combat liver cell toxicity. A study revealed that cells in the liver were kept from oxidative harm despite the fact that they were exposed to a toxin. Researchers stated that this was owed to the antioxidant activity and assumed the active ingredients in kombucha could help against liver diseases. Packed with antioxidants, kombucha fights off the free radicals that could cause digestive problems. The essential compounds found in kombucha that help digestion are the enzymes and probiotics. Recent studies have managed to prove the kombucha’s ability to heal and keep leaky gut at bay. The prowess of kombucha seems to also work wonders on stomach ulcers. Drinking kombucha has, in fact, been compared to the efficiency of some stomach pain drugs like Prilosec that is usually prescribed for ulcers, GERD and heartburn. Another benefit of kombucha is that drinking it on a daily basis can keep candida yeast from overpopulating the gut. This restores balance within the digestive system. The live probiotic cultures found in kombucha are the best candidates to fight off candida yeast. Additionally, the cultures replace the bad bacteria with helpful bacteria in order to promote good digestive functioning. The reason why kombucha works perfectly as an energy booster drink is that the fermentation process leads to the formation of iron. Kombucha also comprises small amounts of caffeine and B vitamins that can help boost the energy. Chelation implies boosting blood hemoglobin, which improves the supply of oxygen that stimulates the energy producing process. Kombucha health benefits extend to their ability to keep free radicals under control via antioxidants. It has been clinically proven that kombucha can improve the immune system and overall health of the body. Additionally, the high concentration of Vitamin C found in kombucha helps keep the body protected against inflammatory diseases, cell damage, tumors and even depression. One of the less known kombucha health benefits is preventing joint damage. Packed with glucosamines, kombucha increases the production of synovial hyaluronic acid. This helps preserve collagen and keeps arthritic pain at bay. Not only does kombucha support joint collagen, it also stimulates the collagen production in the entire body. This translates to preventing fine lines, wrinkles, and premature aging. Just like cucumbers, this beverage is highly beneficial for preventing cancer and helping with the recovery process. Cancer Letters published a study in which it was revealed that glucaric acid consumption has the ability to reduce the risk of developing cancer. It has been proven that kombucha has the power to improve metabolism as well as limit fat accumulation. A great ally in any weight loss journey, kombucha is rich in acetic acid and polyphenols. Combined, these two compounds have been shown to aid weight loss. If you would rather make your own batch of kombucha rather than spend an arm and a leg to buy the bottled beverage on a daily basis, you’ll be happy to hear kombucha is easy to make. Here is a list of ingredients you will need to make eight cups of organic kombucha. Bring the water in a boil in a large pot. When it starts boiling, add the teabags and sugar, removing the pot from the heat. Stir until the sugar melts completely. Leave the tea to steep for fifteen minutes before removing the tea bags. You’ll want to wait for the tea to completely cool down before adding it to the glass or metal jar. Next up, add in the SCOBY disk, as well as the one cup of pre-made kombucha. Seal the container with the cloth and secure it with a rubber band or a string. The piece of cloth should be tight enough to cover the whole opening and thin enough so that air can easily pass through it. Your kombucha will have to sit in the jar for seven to ten days, according to the flavor you want. Less fermentation days will yield a weak beverage that is not very sour. More days in the making will yield a stronger taste. Some prefer to leave kombucha to ferment for a whole month. You can test the drink every day and choose when to stop fermentation. Either way you go, you’ll only be reaping kombucha health benefits once you incorporate this beverage into your meal plans.